Why hellooooo! My head feels like a balloon and my nose is a sniffly faucet, but…BUT! I do have somewhat of a normal appetite and that makes me very happy. Since my appetite is still kind of wonky, this isn’t the most typical day of eats for me. That said, it actually felt really intuitive! It’s nice being able to eat what I want on the spot and not rely on food I packed twelve hours earlier. I didn’t start to feel hungry until around 10:30am so I sipped some coffee and made a quick version of overnight oatmeal. 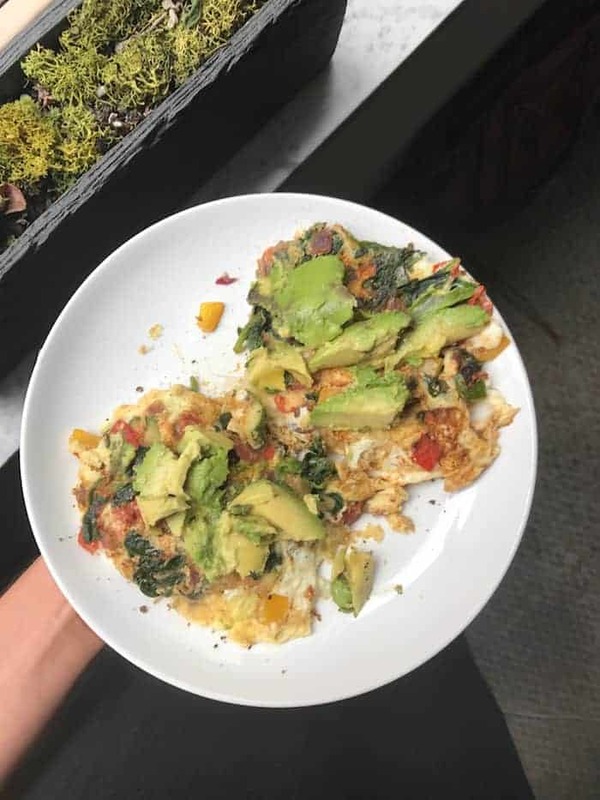 Then I realized eggs sounded much better so I put the oats back in the fridge and made an omelette of sorts that I was craving. I sauteed chopped zucchini, red onion, tomato, yellow pepper, and spinach in olive and then cracked eggs over top. I managed to flip it in two honking pieces before topping it with avocado, salt, and pepper. So good! 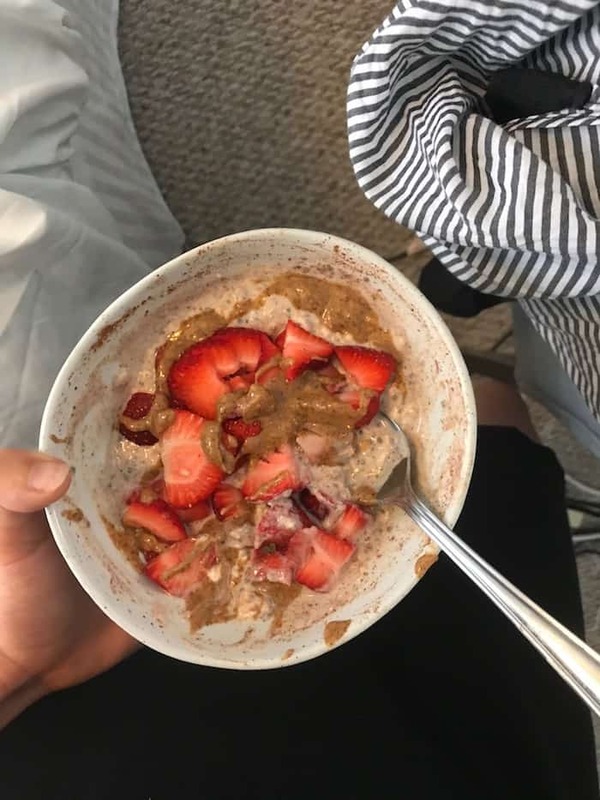 A couple hours later I had a hankering for the oats I had made earlier, which had 1/3 cup of rolled oats, 1/4 cup yogurt (I used this Silk one), about 1/3 cup of almond milk, a spoonful of chia seeds, and a bunch of cinnamon. They had already been sitting for a couple hours so the texture was doughy perfection! Complete with sliced strawberries and drippy almond butter, lemme tell ya—this is definitely gonna be a new staple for me! 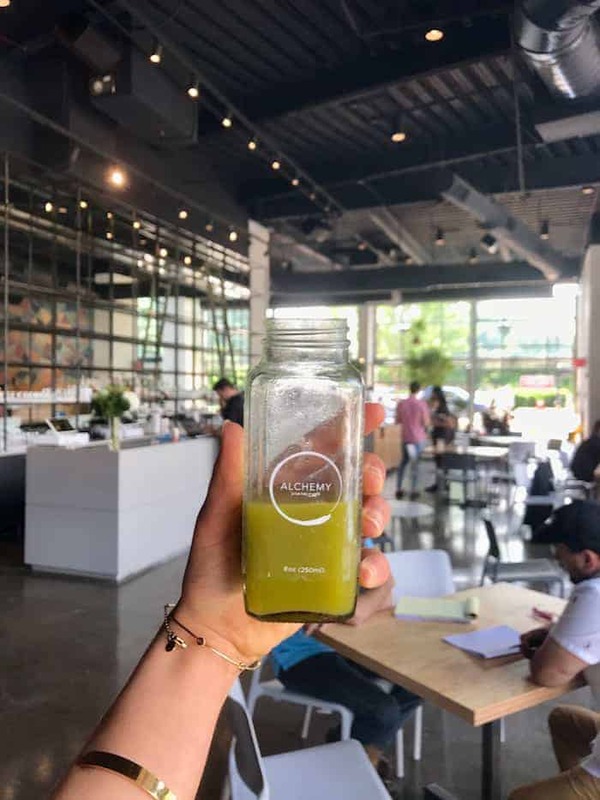 I did work at TRISM and snacked on pesto avocado toast, a few bites of Jeff’s Nutty Dragon smoothie bowl, and an Orange Basil Grapefruit juice while I typed away. Hit the spot! 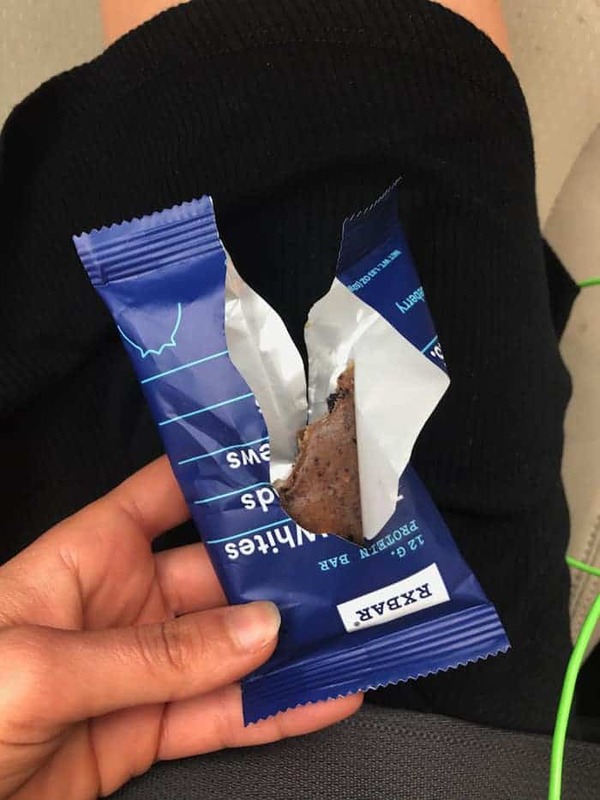 On my way home I noticed a blueberry RX bar popping out of my bag so I chomped on that while I drove. Luckily we had leftover lasagna (fave meal ever) in the fridge for dinner. 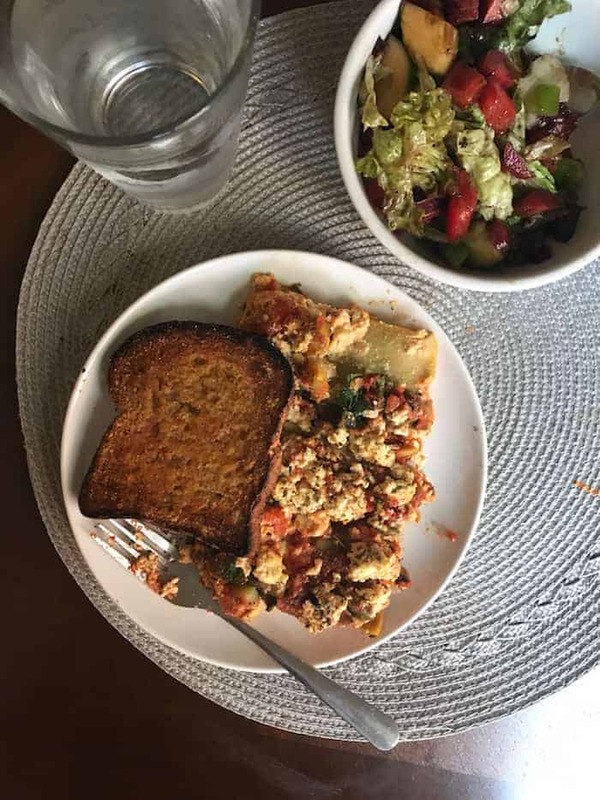 I paired it with garlic bread (bread topped with butter, garlic powder, sea salt, and nooch and then broiled on both sides till crispy) and salad. Once again, hit the spot! 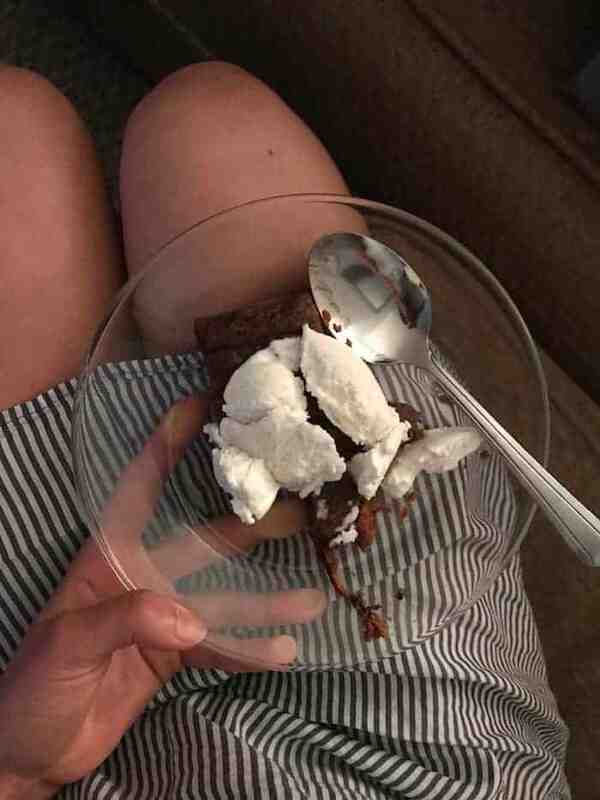 Dessert was a couple of my new favorite sweet potato fudge brownies plus Nada Moo vanilla ice cream—so creamy! Dessert on point. Really have to take a cue from you and get down to intuitive eating. Also, lasagna is always the answer. Yum! I never thought of mixing yogurt in with my oats! That creamy doughy taste would definitely battle any cravings! Loving your oat and toast combo! I always need a sweet and savory in my meals! Sounds like a delicious day! 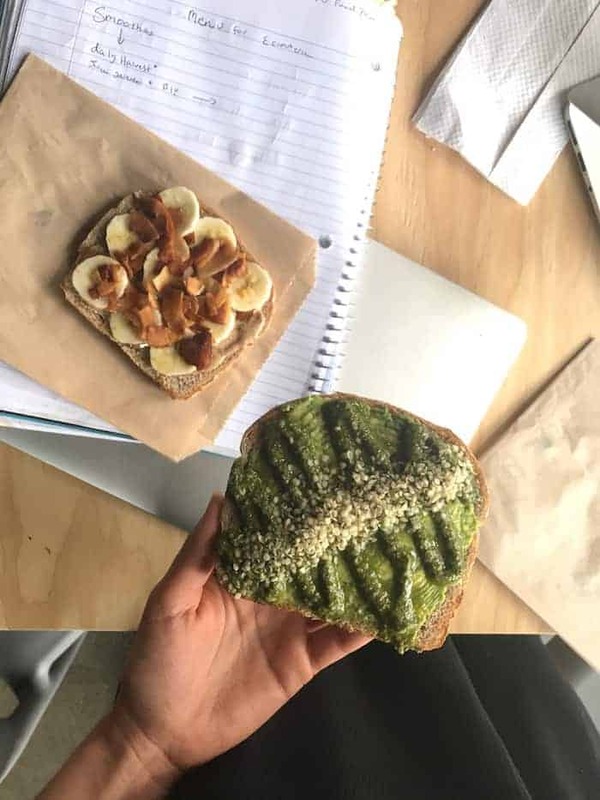 I need to try that avocado and pesto pairing…sounds delightful! Gotta make that lasagna & garlic bread asap! Holy moly it sounds so good. Yum to everything! That lasagna is definitely one of my fave meals too! Yum what a delicious day of meals! Love the intuitive eating inspiration and happy you’re starting to feel better!